Raymond Sylla has worked internationally for over thirty-five years as a choreographer, historian, teacher and musical arranger. For the last six years he has served as Artistic Director of ORISA - African Dance and Music for a New World, a multicultural performance group that expresses West African culture through dance, music and drama. 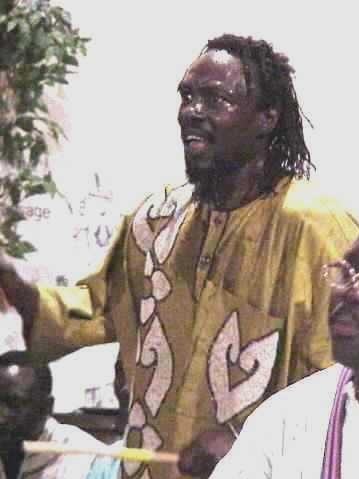 Originally from Dakar, Senegal, Mr. Sylla's unique style and expertise stems from his study and training in traditional African dance, music and culture of various ethnic groups of West Africa. In his anthropological endeavors he has traveled to many African villages, meeting with the leaders, elders and others who are the keepers of the histories, traditional dance and music styles. The songs document information he received from many who have since passed. Mr. Sylla was granted a choreography fellowship from the Ohio Arts Council and service residencies through the Arts-in-Education program. He acts as a Visiting Artist Critic for the Ohio Arts Council and as an African Art Advisor for the Senegalese Association of Ohio. He also presents professional artists of West African dance and music in addition to his work as Artistic Director of ORISA. As a professional arts educator and historian he has taught in cities throughout the United States and is dedicated to the preservation and sharing of his culture through the living art forms of music and dance. Kankouran West African Dance Conference.....Washington, D.C.